TAURUS - both of you are lovers of peace and harmony and avoid conflict and tension as much as possible. Soft quality to your relationship that makes it very pleasant and these qualities draw many friends and acquaintances to you as well. Beneath the smooth facade, however, you do have your differences! Very often LIBRA is more socially oriented and communicative, while TAURUS is too busy with interests, hobbies or work and is not willing to join LIBRA in conversation, social activity, or entertainment. TAURUS needs to be less inflexible at times. GEMINI - You have an excellent mental rapport, and you enjoy one another's intelligence, wit, and style. Both of you are very social creatures who thrive on interaction with people, cultural activities and conversation. Your match is likely to be a very egalitarian one, for you both want a partner who is an equal and a friend above all else. LIBRA is very considerate and has a strong desire to please GEMINI and will compromise readily. CANCER - Both of you are thoughtful, considerate, sensitive to, and aware of, other people's needs. Having good personal relationships is very important to both of you, and you make harmony and peace in your personal lives a very high priority. LEO - Both of you are romantics at heart and tend to be "in love with love". You both need and love romantic gestures, the giving and receiving of gifts, etc. LEO is more decisive and very clear about personal preferences and desires, while LIBRA is more flexible and will compromise graciously in order to please LEO. LEO is more self-absorbed or self-centered than LIBRA. Of the two of you, LEO is the stronger individual, and the balance of power in your relationship may be somewhat lopsided. VIRGO - LIBRA is very accepting of different points of view and is disinclined to judge or even clearly evaluate what others say. VIRGO, on the other hand, loves to analyze and criticize, and is intolerant of illogical or erroneous thinking. VIRGO is more demanding of others and confronts others when necessary. LIBRA finds these confrontations extremely uncomfortable and often embarrassing. VIRGO is much more exacting and demanding in all areas of life. At worst, VIRGO can view LIBRA as wishy-washy, and LIBRA can view VIRGO as prim and intolerant, but hopefully your appreciation of each other is much better than this. LIBRA - Both of you invest enormous energy and time into personal relationships, and you both feel incomplete without a partner for companionship, conversation, and affection. You both possess tact, diplomacy, charm, and a very strong desire for harmony in relationships. Furthermore, you both tend to want to please everyone all of the time, to be liked by everyone, and therefore you often avoid taking strong, decisive stands or directly confronting thorny interpersonal problems. Both of you also have a highly developed sense of fairness, balance, and proportion. Equality is very important to the two of you. SCORPIO - In many situations, SCORPIO will respond with greater emotional intensity than LIBRA. While LIBRA is not a cool and aloof individual, SCORPIO's feelings can run deeper. For example, both of you want a close relationship, but SCORPIO can become intensely fixated on a person and possessive, whereas LIBRA maintains a sense of proportion and some reasonable degree of objectivity and emotional distance from others, even in marriage. SCORPIO's "urge to merge" can be very powerful. LIBRA's approach to life, in general, tends to be more moderate and well-balanced, while SCORPIO tends to periodically become intensely focused on some area of concern and become even fanatical in pursuit of some interest. SAGITTARIUS - Both of you are outgoing, friendly people. You enjoy socializing and you enjoy each other's company immensely. Very often SAGITTARIUS provides extra "zing" to the relationship with lots of grandiose ideas, dreams, visions, and restless wanderlust. 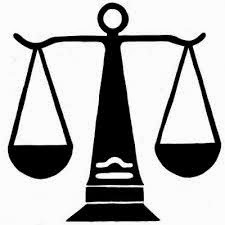 LIBRA helps provide a more balanced, sensible perspective while usually being sympathetic to SAGITTARIUS as well. However, sometimes your joint activities may fail to be fruitful. LIBRA is often prone to go along with people even when there are lots of doubts. CAPRICORN - LIBRA prefers a life style that involves lots of interaction with others. CAPRICORN is more concerned with career, stature, and practical affairs than LIBRA, and many times LIBRA wishes that CAPRICORN would lighten up, take life less seriously, and simply be more fun to be with. CAPRICORN seems a little old-fashioned at times too, which is frequently not agreeable with LIBRA. Pleasure and aesthetics are important to LIBRA, and less so to CAPRICORN. Also, CAPRICORN tends to be autocratic and LIBRA is more democratic or egalitarian. AQUARIUS - Both of you are very social, active people. You are involved in community groups, and your line of work probably brings you into contact with lots of people. AQUARIUS is very attached to clubs, social groups, and colleagues. LIBRA may feel that AQUARIUS needs friends more than a marriage partner or lover. In fact, LIBRA devotes much more attention to any close partnership. This difference in orientation is fairly subtle, however, and may not be a source of difficulty or conflict. PISCES – libra and pisces are good listeners and you are receptive to others' points of view, and you dislike having to engage in competitive behavior or aggressive tactics in order to get your point across or receive fair treatment. LIBRA, however, may sometimes feel that PISCES is too gentle and receptive, being evasive or vague when asked questions or unable to be definite and articulate. PISCES often prefers to simply take in lots of ideas and ponder them for a long time before offering a point of view.